If your friend turned to you and said, “Sorry, do you mind if I answer my Doogee phone?” you might recoil and ask, “What did you call me?” But don’t rush to conclusions just yet. The Doogee phone (pronounced doo-jee) is very real, and the up-and-coming smartphone company is competing with Apple to become the next best thing in the world of cellular devices. According to Mashable’s Raymond Wong, the Chinese company is known for its budget smartphone models. The Doogee budget phones pale in comparison to Apple, Samsung, and Google models. But Doogee has more futuristic tricks up its sleeve and techies are bugging out over the company’s upcoming releases. Wong noted that he first heard of Doogee after the company released their Mix smartphone. 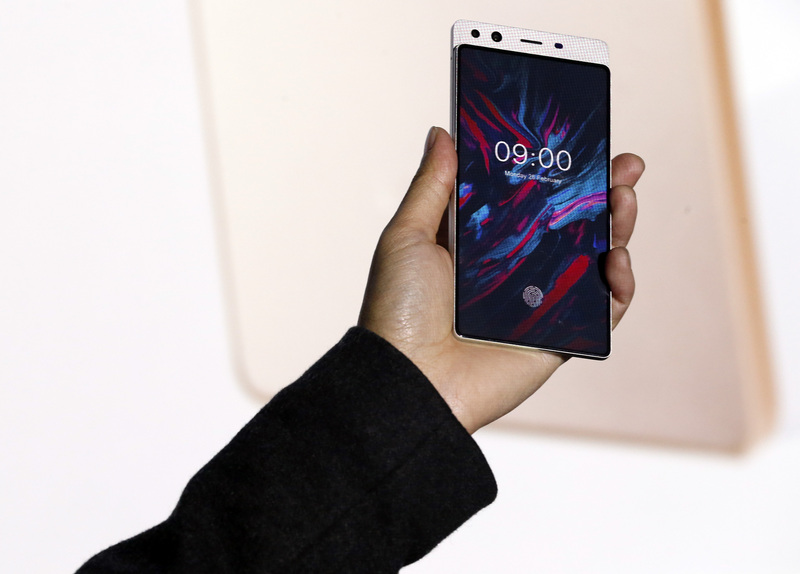 During a point in time when the edge-to-edge screen was still a new phenomenon for mainstream smartphone companies, the Mix flaunted an edge-to-edge screen on three of its four sides. The Doogee Mix didn’t have great specs, Wong said, but its design was something to marvel at and something other mainstream companies had yet to figure out how to execute. More recently, at the 2018 Mobile World Congress, which began February 26th, Doogee announced they would be releasing a series of new futuristic phones. The most impressive are the upcoming Mix models. As Wong tweeted, the upcoming Mix 3 has a 98% screen-to-body ratio — the iPhone X only has a 83.9% screen-to-body ratio and the Galaxy s9 has a ratio of 83.6%. The Doogee Mix 4 is a slider phone. The back slides up to reveal the selfie camera, earpiece, and other sensors, Wong explained. And the Mix 4’s screen-to-body ratio is 98.9%. Both models are slated to come out in the next few months. Doogee is also planning to release a flexible smartphone with a curved screen, a “rugged” smartphone, and lastly, a transparent smartphone. How? We have no idea. But what we really want to know is: How is Doogee so ahead of the game yet still flying under the radar? The company does compromise other aspects of their phones for their design ingenuity. The cameras reportedly aren’t the best quality and the phones aren’t as fast as some of their competitors. Even so, Doogee is making serious waves in a sea of identical smartphones. If they can improve their inner-workings to match their phone’s exterior design, Apple and Samsung may want to watch their backs.